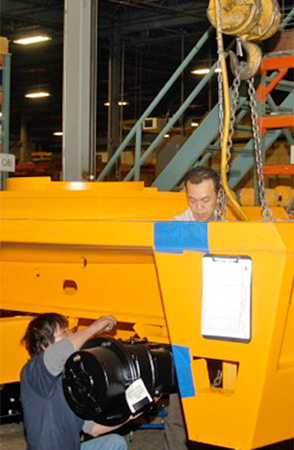 Broderson is committed to minimizing downtime and keeping your crane up and running. Broderson’s extensive dealer network ensures you will have 24/7 access to the parts and service you need, when you need it. Broderson’s skilled and experienced staff can ship parts the same day from our state-of-the-art distribution center. You will also be directed to your nearest Broderson dealer for local service and repair.